My kids love fruit snacks but rather than buy them, I thought it would be fun to make them! It can also make great gifts when you place in cute little boxes. Bonus? It is so easy to make! 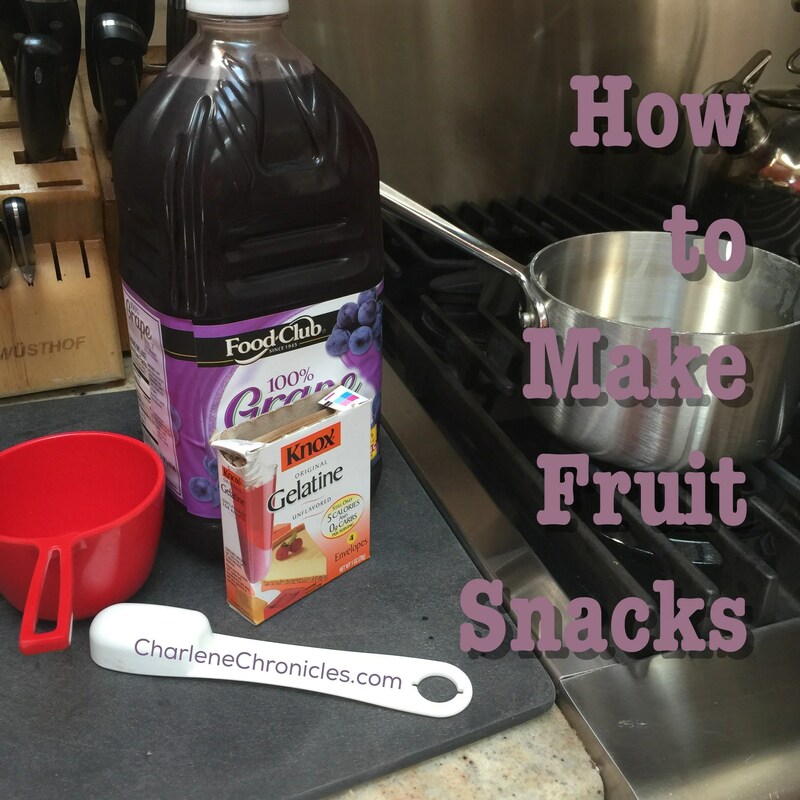 So here is how to make fruit snacks with this simple recipe! 4 cups of any juice. 1. Pour one cup of cold juice into a small pan. 2. Gently add in the gelatin powder and allow it to absorb for a few minutes. 3. Once the gelatin has absorbed, whisk the mixture gently. 4. Turn on your stove to medium heat, heat 3 cups of the juice until almost boiling. 5. Add the 3 cups of hot juice to the one cup of cold juice. Stir. 5. Once ready, pour the mixture into a shallow loaf pan and refrigerate for four hours. 6. Remove from pan and cut into bite-sized pieces. 7. Keep in the refrigerator for up to two weeks! Yum! Tell me how it worked for you? Did you make them? Did your kids like eating them? Let me know in the comments below!